Logitech is hoping to tame the wild west of home automation with its new Harmony remote controls and hub. Good luck with that. While many retailers and tech brands are building their own home automation systems with not much compatibility between them, Logitech's Harmony Living Home ties several of these systems together under a single hub. The $100 device uses RF, IR, Bluetooth, and Wi-Fi to connect to various home automation products, which can be controlled through Logitech's Harmony Mobile app. Users can even create profiles for adjusting several different devices at once. Logitech is also bundling the hub with its new Harmony remote controls. A touch screen model called the Harmony Ultimate Home will cost $350, and a non-touch Harmony Home Control remote will cost $150. 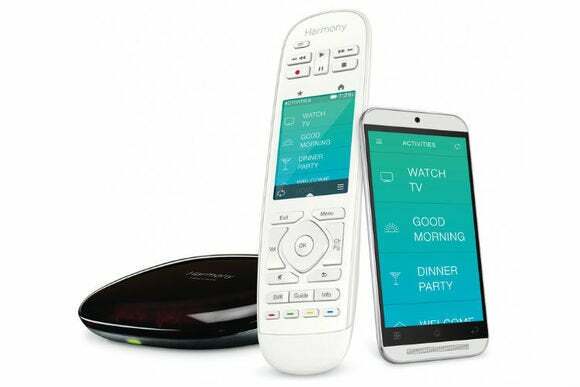 As with previous Harmony products, both remotes can control home entertainment centers as well. With just the main Living Home hub, Logitech says it will support Philips Hue lighting, Nest thermostats, Honeywell thermostats, August smart locks, Lutron lighting and Lutron window shade systems. The Logitech hub can also connect to additional hubs from SmartThings and PEQ to control their respective home automation systems. Eventually, Logitech will sell a Harmony Hub Extender for $130, adding support for products that use the ZigBee or Z-Wave protocols. That means you could end up with three or four different hubs—each costing $100 or more—to control a vast array of home automation products. It's a lot to ask from people, and it underscores why home automation hasn't gone mainstream. There are just too many competing systems, and not enough assurances that they'll work with one another without increasingly messy solutions. Kudos to Logitech for trying to hold it all together, but it's basically working with band-aids.